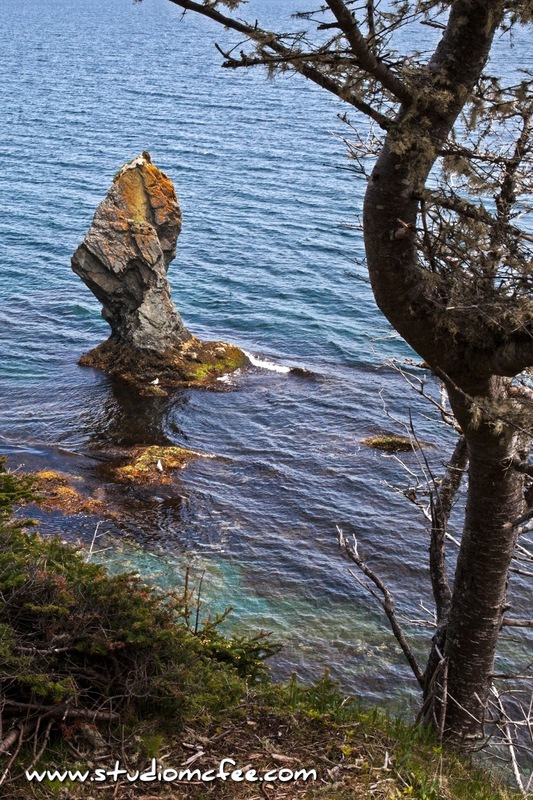 The Skerwink Trail gives you a sense of just how harsh the North Atlantic can be. Tuckamore (a Newfoundland term for stunted balsam and spruce) grows along the shore. These trees often appear dead on the windward side but alive and flourishing on the leeward side. This trail has its share of Tuckamore. The weather changed during an afternoon hike. Gray, overcast skies cleared but then returned. The wind off the ocean was cold. 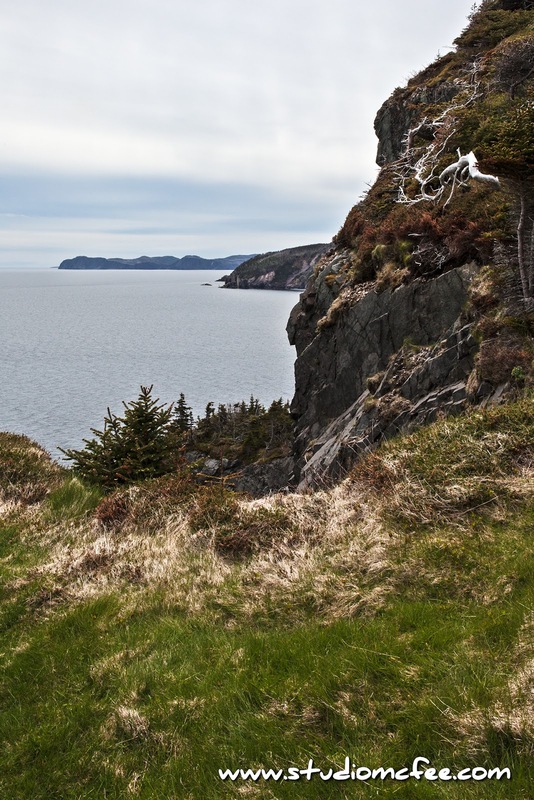 The peninsula protects the Trinity harbour side from offshore breezes and, trees or hills shelter some of the Atlantic side, but much of the trail is exposed to the ocean. From a photographic point of view, the muted earth tones and gray-blue skies make up a subdued but pleasing palette. When the sun shines, splashes of more vibrant colours appear in the sky and water. Frankly, I prefer the more subtle tones. We hiked the trail in mid-June. 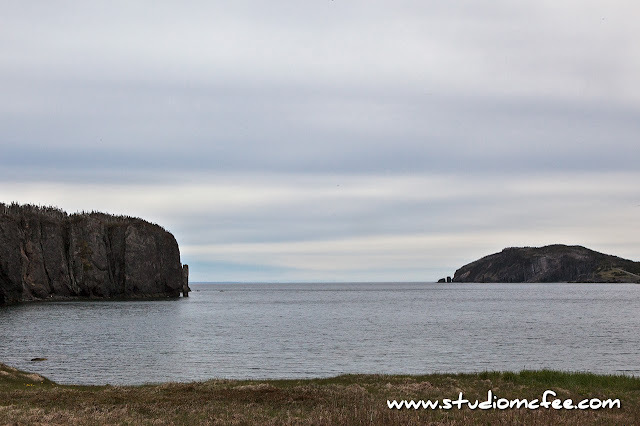 We had hoped to see whales and icebergs but neither presented themselves while we were there.